Between 2006 and 2009 the boat was owned and managed by Artemis Ocean Racing. 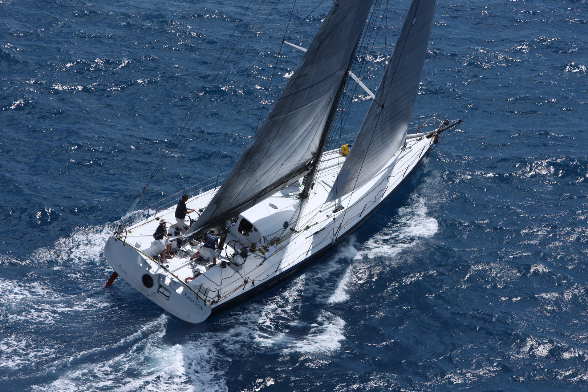 She was originally used as the race boat competing in the 2006 Route de Rhum and 2007 TJV. She was subsequently used as the corporate boat and was RORC Class Champion in 2008. Under new ownership the boat was renamed Gaetana 2 and was impeccably maintained and further invested in with new rigging, electronics, mainsail, genoa, code 0 and J2 and an overhaul of keel hydraulics. She was also been fully coded for charter activity. Under current ownership the boat has been renamed Rosalba and is currently undergoing optimisation for competing in the IMOCA class again and more specifically the Vendee Globe. She is being fitted with a compliant keel fin, her electronic and power systems are being upgraded and she is having an extension to her coach roof added. The vessel is Tax Paid and Price on asking. Click here to contact us or call +44 788 157 2970.